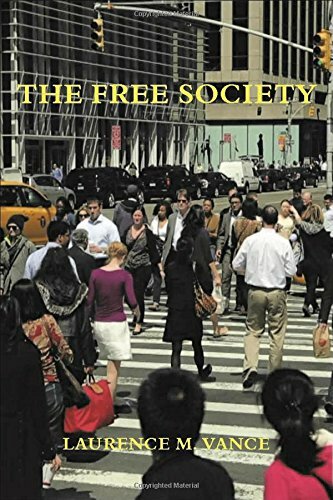 The Free Society Laurence M. Vance Best Price: $14.99 Buy New $19.95 (as of 08:50 EDT - Details) This is still true today. Liberals who are calling for a $15 federal minimum wage are pikers. Why not do something to really help the working poor and demand that the minimum wage be raised to $150 an hour? But conservatives can be pikers too. Not when it comes to the minimum wage, but on the subject of tariffs. Some conservatives have always made veiled criticisms of free trade in their writings that, correctly, disparage government-managed trade agreements. But since the elevation of the protectionist, economic nationalist, and all-around trade ignoramus Donald Trump to the presidency, these conservatives, who are otherwise somewhat libertarianesque, have begun to openly denigrate free trade and advocate for protectionism. They have nary an unkind word for Trump’s destructive tariffs. A country wishing to remain free and independent cannot afford to become dangerously dependent on foreign suppliers, particularly potentially hostile powers, for essential commodities from oil to steel. As long as sovereign countries exist, both governments and borders will be necessary. And that means that there can never be any such thing as truly free trade or a perfect free market liberated from all government authority. In this conservative mindset, exports are intrinsically good and imports are intrinsically bad. They simplistically think that exports create jobs and imports destroy jobs. They liken trade to a national game in which one country wins and another country loses. These conservatives are such pikers. If exports are intrinsically good while imports are intrinsically bad, exports create jobs while imports destroy jobs, and trade results in one entity winning while another entity loses, then why not just stop all imports if you really want to protect U.S. industry and U.S. sovereignty? Are not food, clothing, and shoes essential items during both times of peace and times of war? Then why should the United States allow any food, clothing, or shoes to be imported in any amount at any time? Americans should be forced to buy only American produced food, clothing, and shoes. 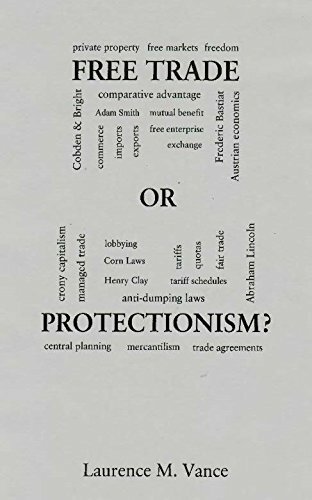 Free Trade or Protecti... Laurence M. Vance Buy New $4.32 (as of 07:35 EDT - Details) Such is the absurdity of protectionism and autarky. Free trade is part and parcel of a free society.